Discussing about the beauty of Indonesia’s underwater is endless. A quarter of the world’s marine wealth owned by Indonesia, that’s why our oceans are famous among divers world. Often it’s too late for we know the coolest dive spots in our own country. 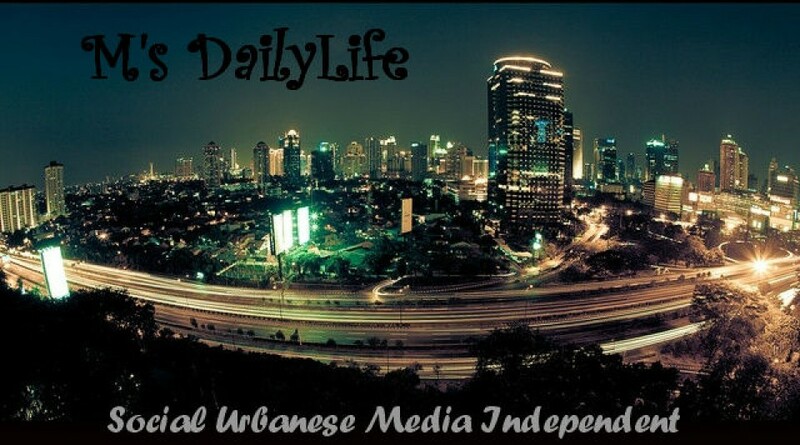 Well, here M’sDailyLife has important information for you about 9 paradise for divers in Indonesia…!! The beauty of the coral reefs of Bunaken has smelled travelers since the 1970s. Waters around small islands off the coast of Manado, North Sulawesi, the abundant colorful reef fish, including dugongs and giant clams are very rare. After mapped, found there are about 25 spots that are ideal for diving. This does not include the findings of the ship that sank in 1983 near Bunaken – an alternative place for divers who are interested in adventure near the wreck. After most of the potential underwater mapped, began 1991 as a marine park Bunaken set. Now the region covers an area of ​​79 056 hectares. Tips : Travel between Manado and Bunaken Island takes about 35 minutes by boat. Season : Wet months lasts from November to April, during the period of frequent heavy rain and high waves. Meanwhile, the dry season lasts from May to October. This is an ideal time to visit Bunaken, because relatively calm waters. What Can Bee Seen ? Butterfly fish (Chaetodontidae), napoleon fish, angel fish, snappers, spur fish (surgeonfish), fish from the class of damselfish, parrotfish, barracuda, tuna, shark, mackerel, grouper, anthias fish, rays, whales, dolphins , and goby fish. Bali is known by the nickname Diving Disneyland of Indonesia. Why? Therefore, the waters around Bali really complete. You who like to dive in the fast-flowing can try diving spots around Nusa Penida. Those who would like to get around the shipwreck? You can dive in the famous spot named Liberty Wreck Tulamben. Well, one more ya, make that hooked aka staring at the barrier reef wall dive, a suitable place name Menjangan Island. Peek happy animal life on the ocean floor? there is called Secret Bay, Puri Jati, and Seraya. Tips : By road from Denpasar to dive spots ranged between 30 minutes and 3 hours, depending on the location. To reach multiple sites, tourists also need to take a sea voyage. Season : Talk about a good month for diving, the answer from May to November. While the worst months between December and February. What Can Bee Seen ? One of the few places in the world to see the sunfish (ocean sunfish) is Bali, YAAAAYY! To meet the fish’s weight to 1,000 kg, you have to come to Bali between July and October. Have you ever heard the name of the Sangihe Talaud? Here, for the unfamiliar name of and never heard with the same geographical location of these islands, the Sangihe Talaud are essentially small islands floating in the waters between North Sulawesi and the Philippines. The most famous spot in Sangihe Talaud is underwater volcanoes that are still active. Whoooaaaa, cool right?! Ever imagine diving in between the bubbles, like entering in a glass of effervescent? Well, if you dive in Sangihe Talaud you can feel this sensation! Tips : Be careful, the current in this place fast enough. Do not get swept away to the Philippines, plus a return ticket can be expensive. Problem transportation, the fastest way is to fly to Manado and sailed 10 hour fast boat ride to the islands of Sangihe Talaud. Season : April to November is the best month for diving. Avoid diving in the summer monsoon, from December to March. Want to dive in paradise atolls? Selayar Regency, South Sulawesi, is the answer. In this area there is the third third largest island’s reef in the world, after Kwajalein in the Marshall Islands and the Maldives archipelago Suvadiva. If we total it, the total area of the atoll reached 220,000 hectares. Not only atolls,Selayar island also have some other dive spots scattered in the east and west of the island Selayar. There you can see a lot of big fish. Short story, Selayar is the most fitting place for divers who seek the thrill in the ‘sea’ own, isolated from the tourist crowd. Therefore, beautiful Selayar islands are still isolated and unspoiled tourist. Atol Takabonerate at Selayar Island. (Photo : Asri To’ / @asri1782). Location Selayar district adjacent to boat building center in Bulukumba phinisi. The route taken to get to the Makassar-Bulukumba Selayar (within 240 kilometers or five hours by road), Bira Bulukumba Port – Port Pamatata Selayar (sailing two hours by fast boat), Port Pamatata-Fortress, the district capital Selayar (within 60 kilometers or one hour by road). Well, for those who want to go on to the National Parks 8 hours Takabonerate can sail again with a wooden boat to the two islands, namely choice is Jinato and Great Tinabo. Want to short-cut travel time to Selayar? can also fly using Sabang Merauke Air Charter-Makassar route Selayar. This is the flight capacity of 22 passengers who will take to the airport Aroepalla Selayar within 40 minutes. Tips : Travel to Selayar, especially Takabonerate National Park, it took a big struggle because the supporting infrastructure is limited. Ranging from fresh water, resort, and telecommunications signals on the island. There is no regular boat sailing to Takabonerate, that’s why you need to rent a timber ship travelers to get around the area. Season : Between November and December are the best time to visit Selayar. Starting from March to May, the waters around Selayar also good for diving. because During that period, the sea very crystal-clear. What Can Be Seen ? Healthy coral reef ecosystems with hundreds of species of reef fish. AMBON, The Lease Islands – Banda Islands. Crystal clear waters around the island of Ambon met many underwater attractions. Several points are compulsory dives Door City, Cape Hukurila, Mahia, shipwrecks 1960s that sank in Waiame, and Three Island. In the waters around Door City, underwater view of a gate under water at a depth of 27 meters. To dive in this place, suggested leaving before 8:00 am while still weak for the currents ocean and crystal clear seawater. Meanwhile, in Cape Hukurila you can see a view of the underwater walls with coral reef ecosystems that are still healthy. 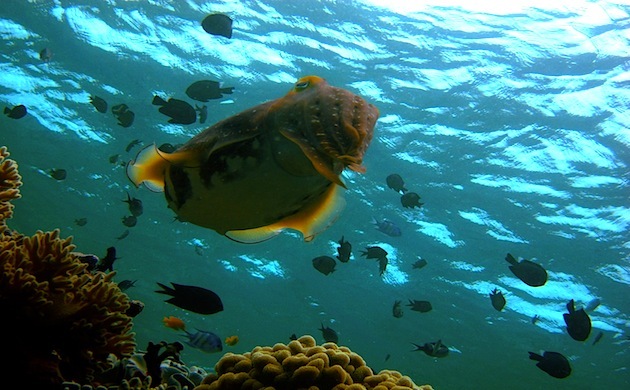 From Ambon, you can continue the adventure under the sea further east. Namely to the Lease islands which include Saparua, Molana Island, Nusa Island Sea, and Haruku. Clear waters in this region offer more variety of biota. Meanwhile, in the southeast of Ambon, you will see incredible underwater paradise of the Banda Islands. The beauty Banda underwater can only be compared to Raja Ampat, West Papua. Banda Islands attracts many divers, sailors and yachts from all over the world. Some famous diving spot which is the shallow seas between Bandanaira and Volcano Island, as well as sea walls around the island waters Hatta. What can be seen? Everything from sharks, turtles in large numbers, herd Napoleon Wrasse, giant grouper, Dogtooth tuna, stingrays mobula, redtooth triggerfish, different types of whales, spinner dolphins, giant lobsters, reef fish, and species that are endemic in Ambon scorpionfish. Wakatobi underwater paradise located off the coast of Southeast Sulawesi. Wakatobi – which is also known as the Archipelago Builders Iron – is an abbreviation of the name of the four main islands in the archipelago. Namely Wangiwangi, Kalidupa, Tomia, and Binongko. Wakatobi coral species richness famous since Operation Wallacea expedition from England visited this place in 1995. 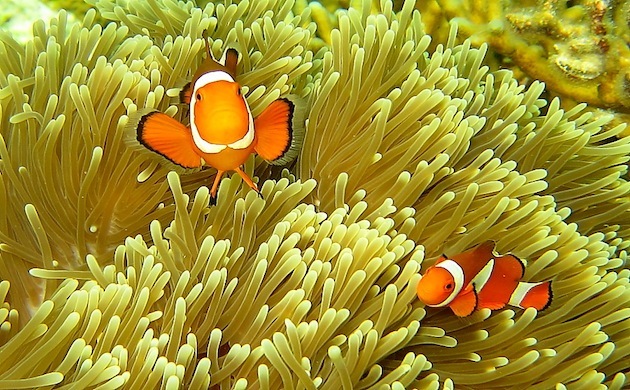 According to their data, 750 of the total 850 species of coral found in Wakatobi world. In these waters also live 942 species of fish, including fish argus spots, takhasang, pogo-pogo, napoleon fish, red fish, rabbitfish, a type clown fish, butterfly fish and moon fish. You like turtles? Wakatobi is also home to three species of sea turtles. Which is hawksbill, loggerhead sea turtles and olive ridley turtles. Tips: Around November, when the sea freezes in the other hemisphere, sperm whales swam into the waters of Wakatobi. Therefore, in the Wakatobi waters warm and plentiful food. Season: The best time to dive in Wakatobi ie between March and December. What can be seen? Giant manta rays, dolphins, turtles, whales as well. Located in Tomini, one of the most tranquil bay on the planet, is Togean Island dive spot that has not been fully explored. Still wide open opportunity to explore underwater, so there is a chance you find a new dive spot. So FUUUUNN, right!? What is offered Togean Island? Already there are a few spots that make the diver dives craze, including nursery rock, city wall, gap, crack, shark rock, rock dominic, labyrinth, Taipi, stone crazy, and lost reef. Three spots that crack, labyrinth, and dominic rock deep enough, it is more suitable for you who already have a lot of experience and expertise in diving. Anyway, in the waters Togean you can also find B 24 pembon wreckage that was sunk in World War II. Tips: Flow in this place tends to be weak, with the clarity of the sea between 20-40 meters. Season: Drought, which took place between March and December, is the best time to dive around the island Togean. 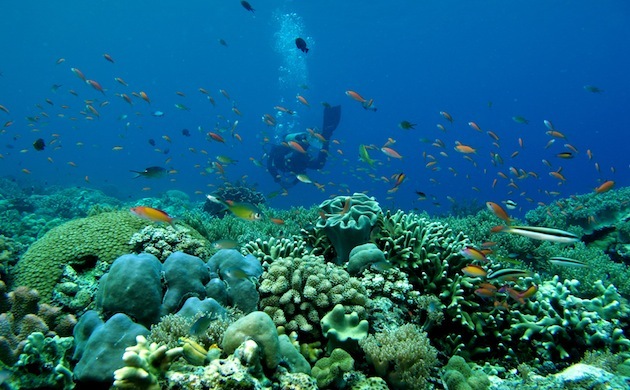 However, Togean can be dived all year. What can be seen? Togean has beautiful coral habitats, marine endemic species of interest, and is inhabited by a lot of fish. Ocean with bright blue emission between Labuan Bajo and Komodo Island in East Nusa Tenggara is easy to lure many tourists. The radiance comes from underwater panorama very exotic and challenging for diving. Long story short, these waters can be very dangerous indeed because the wave is very strong. It is very important to choose a reputable dive operators, so that they can help you choose a spot that suits your abilities under water. Tips: The more to the north, the more warmer waters and clearer sea. 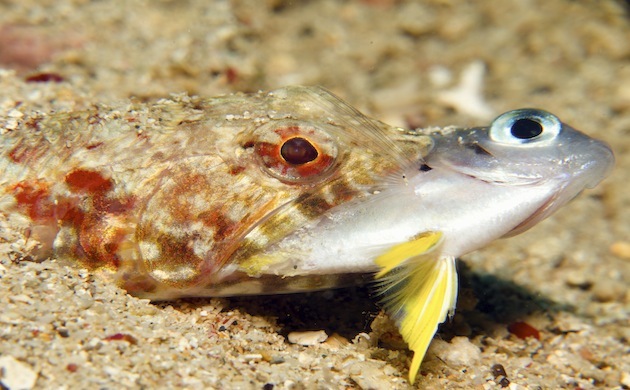 Underwater life similar to most other tropical waters. Season: Aquatic between Labuan Bajo and Komodo can be visited throughout the year. However, the best time for diving from March to early May and late September-early November. At certain times some dive spots can not be accessed when high waves. What can be seen? Manta rays, sharks, turtles, dolphins, dugongs, pygmy seahorses, sea rabbit and frog fish. The sensation of diving in Raja Ampat, West Papua, just like swimming in a tropical aquarium. 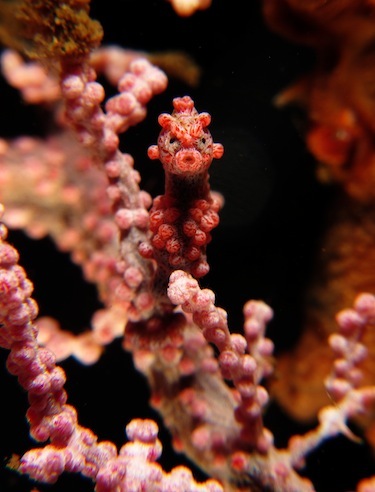 This is a collection of waters with spectacular underwater life, that must really be visited. 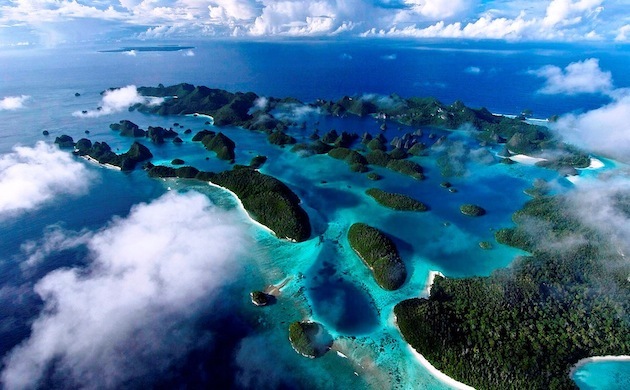 Raja Ampat is home to 75% of coral species that exist on this planet. So, if a comparison is made, when you’re diving in Raja Ampat and you will find 10 species of hard corals times more than the Caribbean. How cool is that! Season: You can dive all year round in Raja Ampat. Remember, during July, August, and September, the waves tend to be high. What can be seen? Manta rays, giant clams, fish swarms of barracuda, parrot fish, pygmy seahorses, dugongs, turtles, rabbits sea of colorful, distinctive carpet sharks Raja Ampat, and unique species of shark called epaulettes which uses fins to walk on the ocean floor.